The Building and Construction Industry in Western Pennsylvania is one of the fastest growing, regionally and nationally, offering some of the highest compensation rates and best benefit programs of any industry in the country. 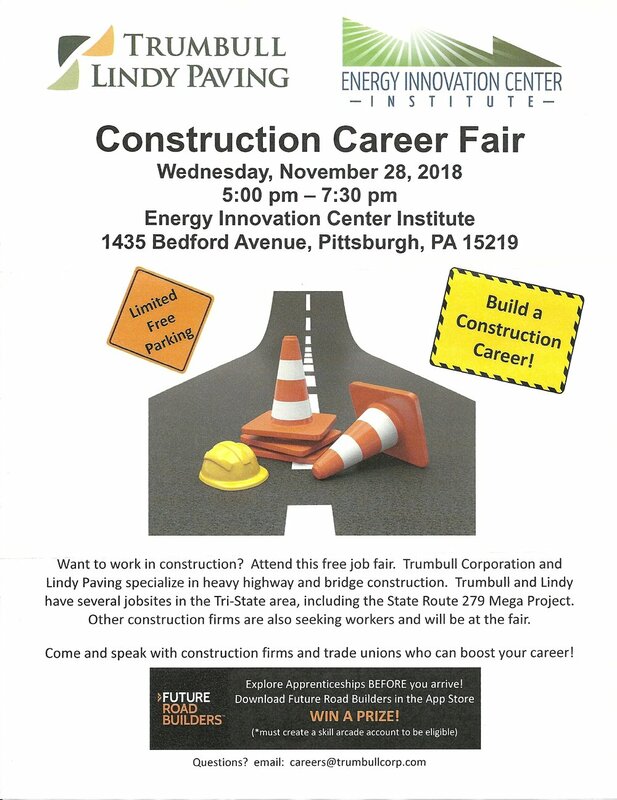 Help us show your students, counselors, teachers, and administrative staff how rewarding careers in the construction and allied industries can be, and the various pathways to build that career. The PA AFL-CIO Scholarship Essay Contest is a chance for students to learn more about the importance of Organized Labor in America. For over a decade, we have awarded thousands of dollars to students furthering their education. NOTE: Scholarships are available exclusively to PA AFL-CIO Affiliated Union Members and their families. Essays will be judged in March, and winners will be announced in April 2019. For more information, contact Pennsylania AFL CIO at 717-238-9351 or 1-800-242-3772. Pittsburgh, PA – Despite feigning support for private sector unions on the campaign trail, Scott Wagner was caught telling voters that he won’t release his tax returns because he doesn’t want his workers at his companies to join a union. Wagner is afraid that once his employees learn how much he’s pocketing, they’ll want to join a union and earn their fair share. LIUNA proudly represents tens of thousands of dedicated, hard-working public employees who are undaunted by the Janus decision. The Court has abandoned sound legal precedent and sided with anti-worker interests whose aim is to weaken unions by seeking to force unions and those who support us to bear the cost of representing free-riders. While the plaintiff’s backers claim this case is about “freedom of speech” nothing could be further from the truth. The Janus case represents an all-out attack on public sector unions meant to diminish the bargaining power of millions of public sector workers and divide us in the workplace. Despite the cynical efforts of the anti-worker groups financing Janus, union membership has always and will always strengthen the middle class and help build our nation’s prosperity. The strong, proud, and united members of LIUNA will continue to stand together and fight together to protect the wages, benefits, and working conditions that come with a union card. Martire: Pittsburgh is one of those cities with a rich history, and future generations will look back on Peduto’s two executive orders knowing that it’s these orders that allowed the city to achieve its full potential in the construction boom. As Mayor Peduto emphasized, the economic benefits of the boom should be felt by everyone, and with these executive orders, Pittsburgh is making that happen. He acknowledged how Pittsburgh has gone through times where jobs were hard to find and construction was limited, but that is not what is happening today. Now, there’s more construction projects than there are skilled workers in Pittsburgh. Unfortunately, this is a problem that goes beyond Pittsburgh and impacts the entire country. The industry is in need of skilled workers, and Pittsburgh’s trade unions are a key part to the solution. LIUNA training centers and the LIUNA apprenticeship program take eager local residents interested in joining the trade, even if they have no experience, and turn them into skilled workers with opportunities to advance in the industry. I hope that other political leaders look to Mayor Peduto as an example and start establishing similar workforce programs with trade unions for the betterment of the working people they represent. Our signatory contractors are now requiring our membership to have their OSHA 10 card refreshed every five years. Please look at the date on your card. If it is more than five years old, call the Training Center to schedule a refresher. Please call 724-352-2224. From the cracker plant in Beaver County to the Marcus Hook Industrial Complex in southeastern Pennsylvania, new energy infrastructure projects are tapping our local shale formations and delivering benefits all across our commonwealth. And it is paying off. A newly released study that re-examines the potential economic impact of the Mariner East pipeline, which passes through Washington County, shows the value of this critical infrastructure project is even greater than first anticipated. The $5 billion project stretches 350 miles across Pennsylvania, West Virginia and Ohio, transporting natural gas liquids developed here to the Marcus Hook plant in Delaware County for refining. 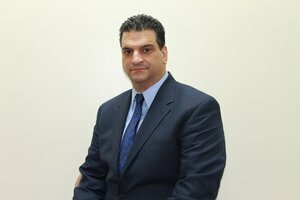 According to Econsult Solutions, projects associated with Mariner East pipelines will generate a one-time economic impact of nearly $9.1 billion in Pennsylvania and support 57,070 jobs during the entire construction period --- the equivalent to 9,520 jobs each year for six years with earnings of $2.7 billion. Those are stable, family-supporting jobs for workers, including members of the Laborers International Union of North America (LiUNA! ), which has more than 25,000 members in Pennsylvania. The new report, which updates an earlier but similarly impressive economic analysis that was issued in February 2015, further states that the Mariner East projects could generate an estimated $122 million in total to the commonwealth over the length of the construction period. It is difficult to argue with these numbers. Truly, the revitalization of our region and our entire commonwealth as a thriving energy hub is bringing home jobs and economic returns and the estimates continue to get better with time and development. So not only is Mariner East 2 fulfilling its promise to be one of the biggest economic opportunities our state has seen in generations, it is powering transformations all along the line’s route. Mariner East 2 plans distribution points along the line to supply propane for commercial and residential use, a warming thought given this cold winter. The project also is powering a new state-based power plant, Competitive Power Ventures Inc.’s Fairview Energy Center in Jackson Township, Cambria County, that will meet the energy needs of one million Pennsylvania homes. More recently, Sunoco announced that it is now shipping ethane from Marcus Hook to a specialty gas producer in Texas that used to get its supplies from Europe, meaning we are opening up new domestic markets for the state’s huge shale gas reserves. Some continue to refuse to accept the realization of local benefits. But the evidence is irrefutable. As members and founders of the Pennsylvania Energy Infrastructure Alliance, we are acutely aware of how these projects affect our communities and we have been engaged throughout the process. Our members have crisscrossed Pennsylvania to support pipeline projects and promote private investments that will help to build out the state’s infrastructure network. The fact is that we are not just building a modern energy infrastructure with projects like the Mariner East pipelines. We are giving a huge, sustained boost to our entire commonwealth economy. Unfortunately, work on the Mariner East project recently was halted by the Pennsylvania Department of Environmental Protection (DEP). But this project remains critically important for our commonwealth, as the Econsult study underscores. It is important for Sunoco and DEP to work expeditiously to get the safe, responsible development of this project back on track. Natural gas clearly is playing a central role in our economic resurgence as Pennsylvania’s shale reserves now account for about 20 percent of total U.S. natural gas production. Over time, we have seen the integrated development of energy infrastructure projects across upstream, midstream and downstream sectors. Investments in these projects need to continue and they deserve our support. The projects are setting the stage to ensure Pennsylvania continues to boost its manufacturing, transportation and trade opportunities over the long term. And all along the way, as it is along the pipeline route, the benefits are shared by many. Philip Ameris, Western Pennsylvania Laborers (LiUNA!) District Council Business Manager. "Cracker Plant Will Change Pittsburgh Forever"
The plant will employ roughy 6,000 workers during construction peak and 600 full-time employees once open. All told, it should add $4 billion in economic impact from the plant and ripple effects. “We will change forever Pittsburgh and the landscape,” Rusu said.